We focus on behaviour we want to change. We debate about how baptism should be done. We make plans for retirement. 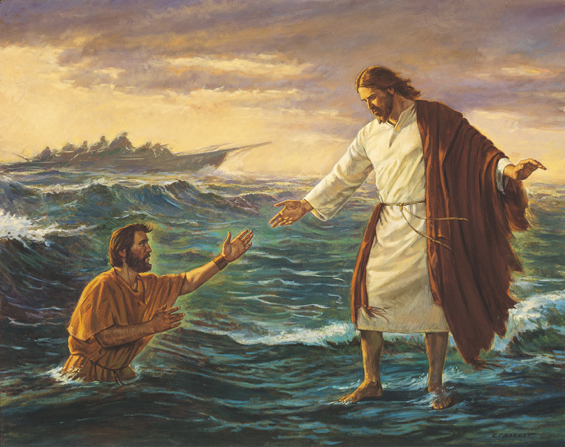 But when Peter noticed the storm instead of the Saviour, he began to sink. Are you sinking, or in a rut, or even in a pit? My apologies to those kind people who follow my blog, and to those I follow. I have been on a recess from blogging. I am sure I have missed some wonderful things in your writing, but I was just on an extended seminar with Jesus having my eyesight checked. Please know I have thought about you. Blogging had become a little too important and I had to go on a cruise with Jesus on the water. The wind and waves have, at this moment, faded away so that I can see clearly the water-walking-wind-wandering Wonder. Thanks my dear brother of faith.